DALLAS – The Trans-Mississippi Golf Association recently announced the allocation of $113,000 in the form of college scholarships and Member Club internship grants in support of the future of the turf management industry. Going on for more than 50 years, the Trans-Miss Golf Association (TMGA) has supported the turf industry through grants, scholarships and internships. In 2019, the association will spread $60,500 to 11 different Member Clubs to underwrite summer agronomy internship programs. Clubs such as Champions Golf Club and Flint Hills National (full list of clubs below) will receive between $3,500 and $7,500 to cover costs related to hiring interns to work under their superintendents next summer. The TMGA also will award $52,500 in college scholarships to 11 students who qualified through the application process. 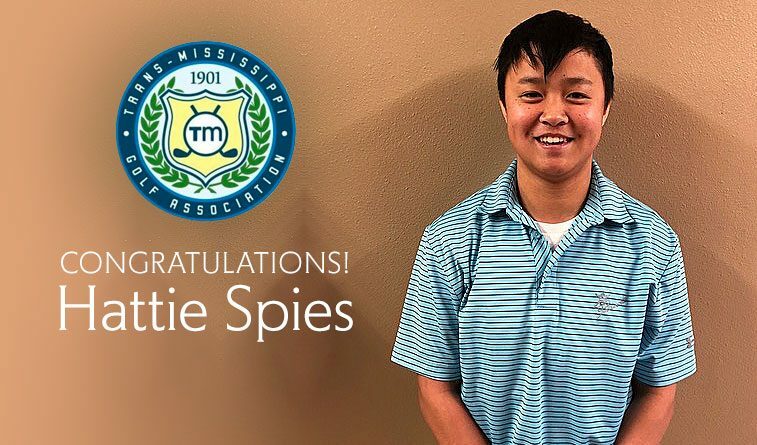 One of those recipients is Hattie Spies, a junior at Iowa State University, who dreams of a becoming a superintendent at a Top 100 golf course. A golfer since the age of 7, Spies loves the innovation and ever-changing aspects involved in agronomy. She’s pursuing Horticulture as her major at Iowa State with an emphasis on Turfgrass Management. After her freshman year, she interned at her hometown course called Muscatine Municipal Golf Course. The experience motivated her to seek out other opportunities and learn more about the industry at more prominent venues. She accomplished that mission when she scored an internship this past summer at Southern Hills Country Club in Tulsa, Okla., site of seven professional major championships and four Trans-Miss championships, including the 2015 Championship. In the summer of 2019, Spies will intern at another major championship venue: The Straits Course at Whistling Straits in Kohler, Wis. Spies will work with an expert crew as they get the course ready for the 2020 Ryder Cup. As for her ultimate goal of becoming a superintendent at a Top 100 course, her Turfgrass Management professor, Adam Thoms, thinks she has the stuff to make it happen. Thoms also said Spies is in the Top 5 percent of her class of 35 students. The TMGA is proud and honored to assist motivated students such as Spies and the 10 others who received between $2,500 and $7,500 in Turf Scholarships. These young minds represent the next generation of golf course caretakers. Additionally, 11 Trans-Miss Member Clubs received grants to underwrite summer internship programs at their facilities. In full, $60,500 was dispersed between seven qualifying clubs and the four facilities who hosted Trans-Miss events in 2018. For more information on how the Trans-Miss Golf Association supports the Turf Management industry, superintendents and their staffs, as well as the game in general, click here.